You are divorcing the Borderline mother of your children. Your dissolution of marriage action is getting now here. You are an entrepreneur who owns your own business or you are a middle-to-upper level corporate executive or manager. You are responsible for accomplishing the impossible everyday and you get the job done every day--no matter what. You are a resourceful, educated, creative, motivated problem solver accustomed to dealing with difficult people who has no patience for fools or incompetents and you only work with team players who share your drive to succeed. Naturally, you expect your divorce will proceed the same way you handle the rest of your life. Unfortunately, divorcing a Borderline is everything you hate most in life: delays; disruptions of your business routine and personal regimens; dramas bordering on bad theater; impossible, inflexible people; inconsistent demands and confusing signals; serial hurry-up-and-waits; every specie of verbal and behavioral deceit ever conceived by the human mind; physical, emotional, financial, social and psychological abuse; total chaos. All of this in a judicial setting designed to enable the Borderline to amplify and exploit both human and institutional weaknesses. It’s like swimming out into the ocean from the beach and then turning around to swim back to shore only to find nothing but water as far as the eye can see. No landmarks. No people. No boats. No help. Nothing but water to the horizons in all directions. 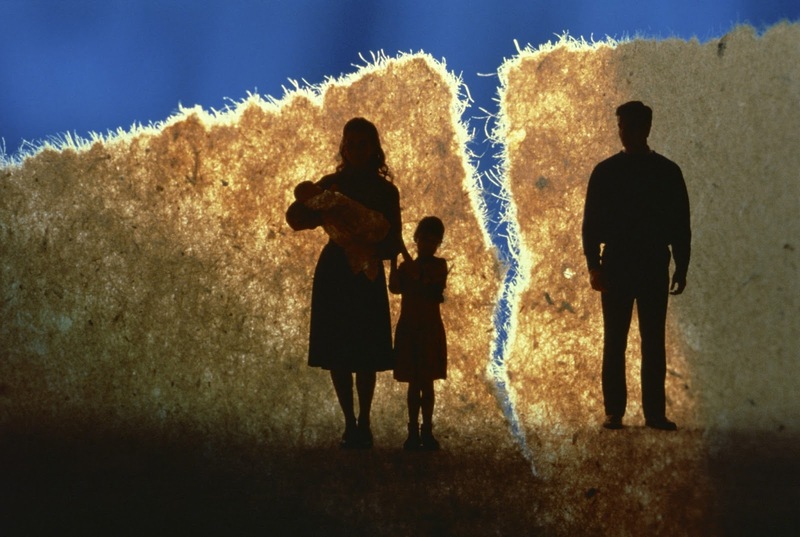 In family law court, the very qualities that make you successful in business will prove to be your downfall in your Borderline divorce. You were trained to take charge and to adopt a “can do” attitude. You want non-issues resolved yesterday. You have no patience for people who have nothing better to do than to waste your time and money. But in a Borderline divorce, you can rest assured nothing will happen when you want or need it to happen. People who have far more issues than you will judge your life while lying to you, while engaging in passive/aggressive behavior, while paying lip service to the “best interests of the child”, and while employing “secrets” and codes of silence. They will not let you see the man behind the curtain, but they act like they expect you to know what the Great Oz is doing. As soon as you file your divorce your life starts being run by a remote control shared by everyone involved in your case, except you. The court, your spouse, opposing counsel, the custody evaluator and other retained experts are all making decisions directly affecting you and your future, but they rarely seek your advice let alone consent. You are not accustomed to having someone else tell you how to run your life, let alone someone who knows nothing about you and who (you get the feeling) could care less. You feel helpless because you are being judged by an institutionalized negative stereotype of what a “man” is that has little to nothing to do with who you are, namely: a physically violent, emotionally abusive, alcoholic, drug using, Monday Night Football couch potato, who doesn’t know one end of a baby from the other. After a while, you begin to feel overwhelmed, powerless, misunderstood. Eventually, you begin feel that you are the only person at the table who doesn’t have a say in your own life. And you are not far from the truth. You are being pulled in multiple directions. Your life unravels. Your health suffers. You are not eating or exercising or sleeping right. Your hard earned financial security is soon siphoned off. You don’t have time or money to see a therapist let alone start a new relationship. Your income drops. You see your children far less than you need and want to while you watch your career and future disappear down Alice’s rabbit hole. The dream is dead. Only after this new surreal reality sinks in do you begin asking yourself, “How will I survive this divorce? Will I survive?” You will survive. That is not the question. The question is who will you be after the divorce is granted, a custody plan is in force, support has been established, and the community property has been divided? The first steps toward salvaging your life when divorcing a spouse who suffers from Borderline Personality Disorder (“BPD”) are, first, to understand what Borderline Personality Disorder is, second, to surrender to the dysfunctional American family law court system--a way of divorcing people that not even Niccolo Machiavelli could have envisioned–and, third, creating a new dream. A man without a dream is a dead man. Begin this process by assuming you have no rights and no life: You are a third class citizen. Objectively speaking, you have been repeatedly victimized by your spouse and the family court system, but you can never think or act like you are a victim. You must always be “at cause” in your own life no matter how strange things get. This is the only way for a man to win any significant custody time with his children and to gain any say in this own life. If you so much as smell like a victim–you lose. The attorney you choose will determine how you come across to the court. The Great Oz who hides behind the curtain is testing you to see if you are really a Man. You will be mercilessly tortured until you either break down from the systematic abuse heaped on you year after year, or you win primary custody of your children. There is no middle ground. Why? Because Borderlines know no middle ground and Borderlines force all- or-nothing resolutions. Courts and attorneys do not understand this about Borderlines. In fact, they do not know Borderlines even exist. Aristotle said, “Know Thyself.” To survive, you must know your heart, your strengths and weaknesses, your limits and potentials. If you know now that you are not ready, willing and able to endure endless psychological, emotional, financial and social abuse, you need to consider walking away and never looking back–whatever that means to you. If you do walk away, be absolutely certain that five or ten years from now, you will be able to look at yourself in the mirror and say, “I did everything I possibly could to save my children.” This is one way to survive a Borderline divorce. There is only one other way. If you are a man who cannot walk away from his children and who is willing to risk and sacrifice everything for your children, you have no choice but to to be “all in”, no matter what, no matter how long. When Hawkeye tells Cora in The Last of the Mohicans to go–he will find her “no matter how far, no matter how long”–he meant it. And so will you. Because your children’s lives solely depend on you. When you resolve that you have no other options but to save your children, take action: Dream a new dream for your life. This is the necessary first step to survival. Seek out a good life coach or psychologist and get the help you need. Read as much as you can about BPD. In time, you will learn how easy it is to manipulate a BPD. Find an attorney who either specializes in BPD cases or who is willing to consult with one does; and Accept that the court system is not only blind when it comes to BPD cases, it is also deaf and dumb–and then develop a plan that forces your judge to deal with reality. Your goal is primary custody of the children. In almost all Borderline cases in which the Borderline parent is moderately or severely Borderline, this is the only custody arrangement that will save the children. If your game plan is Borderline savvy and if you have the wherewithal to financially and personally endure protracted litigation against a Borderline, you can save your children and live your new dream. Is Your Mother a Borderline?